Priests are the sort of band that is unafraid to look you right in the eye and beg answers to big questions. In early 2012, Priests began playing frantic post-punk, full of tempered tension and thoughtful rage and relentless energy that would come from living in the microcosm of institutional oppression that is DC. Their music conveys a sense of unmatched urgency in their smart, politically charged, noisy songs. 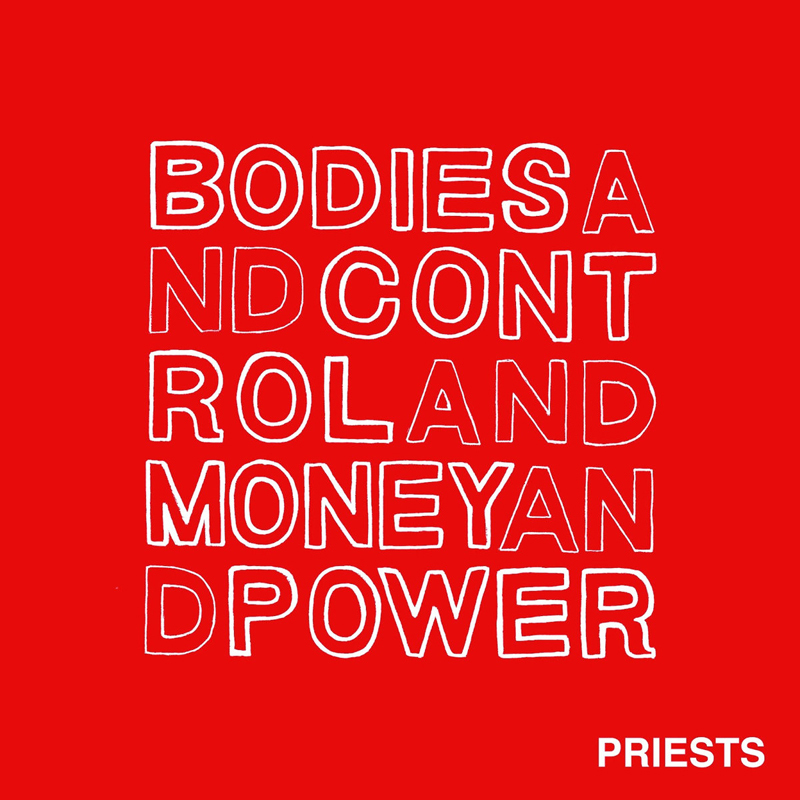 You’d think it would be hard to capture Priests’ intensity on a slab of vinyl, but all the dark, aggressive sounds and kinetic energy their known for live come across on Bodies and Control and Money and Power. 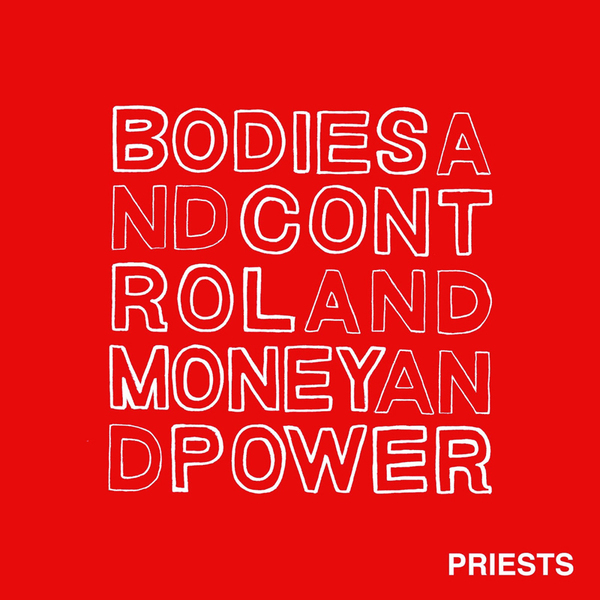 From the paranoid truths of “And Breeding” to the ripping “Modern Love No Weapon” to the creepy goth feel of “Doctor,” it’s Priests at their best. Essential. Recorded at Inner Ear Studio with Hugh McElroy and Kevin Erickson, and by Kyle ‘Slick’ Johnson at Fancy Time Studio.